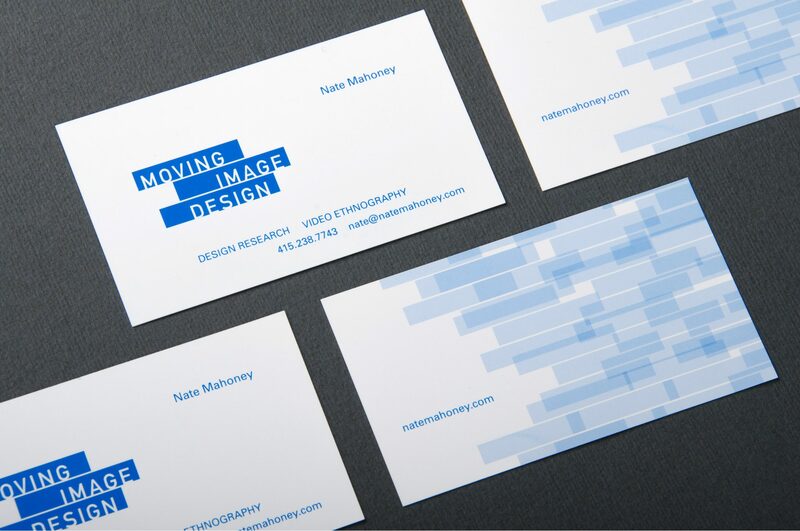 Moving Image Design, a design, user experience research, and video ethnography consultancy, desired a modern brand identity that evokes movement in a simple manner. Duuplex provided design for the identity, business cards and a website. A single ink color was used to dynamic effect on the cards by printing double sided with overlapping screen tints on the back creating an elegant pattern.